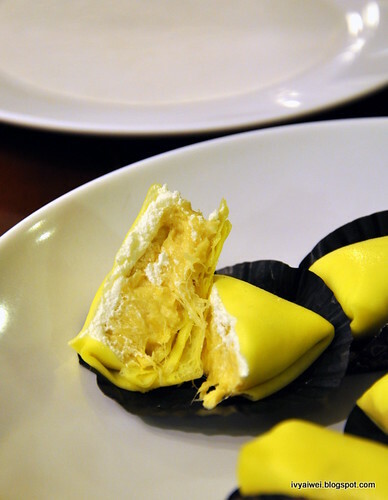 Durian is everyone’s favourite in Malaysia; golden yellow in colour with creamy-like texture. 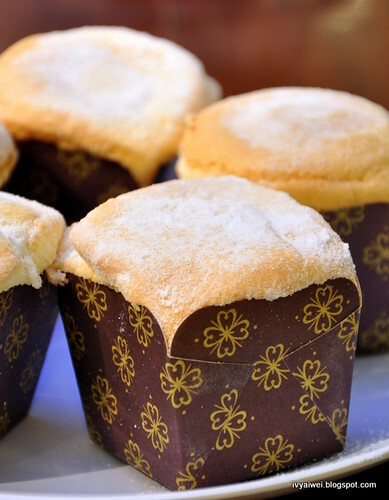 Every year during the durian season, people will hunt after D24, or zhuk geok, or the latest babe – Mao Shan Wong. Some will go for the sweet one while the others may love the one with bitter-taste. Well I have to say I am a little odd (though I am a Malaysian); I tried hard and very hard to accept this Malaysians’ favourite. However, my gustatory and olfactory system just seems to anti it. I was at Sumptuous Desserts with the couples from eatonlylar and broughtup2share one evening, sampling the famous little delicacies made of durians. Since their desserts are made of durians, then why am I here??? Read on and you will get to find out why. This is one of their best sellers. From the appearance, they do look like cute little pillow. Within the thinly piece of crepe, it was loaded with real durian fruits and the finest fluffy cream. 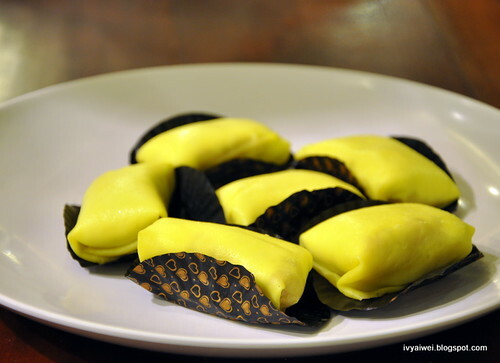 Sumptuous Desserts uses only local durian, mainly D24, 101 and clone durian in their pancakes. As I didn’t sample this, feel free to view eatonlylar for further descriptions. 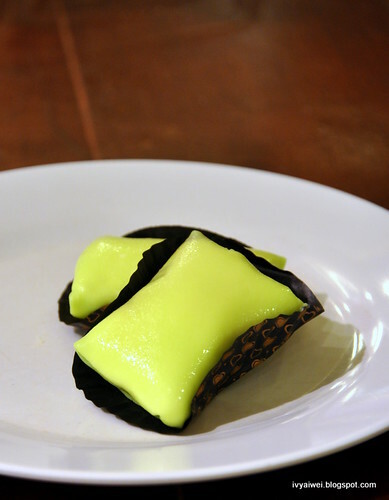 Same as Durian Pancake; it was made with thinly piece of crepe, loaded with cempedak flesh and fluffy cream. 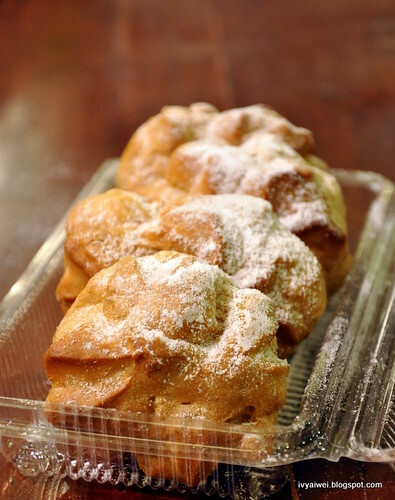 Tastewise, it was not too overpowering; not too sweet and tasted as though you have cempedak fruits with soft fluffy cream without messing up your hands with cream. Innovative! Same as the other pancakes, it was packed with fresh mango flesh and cream. Due to the unpredictable nature of the mangoes, the mango pancake may vary from time to time, some may be slightly sweeter or sourish than one another. 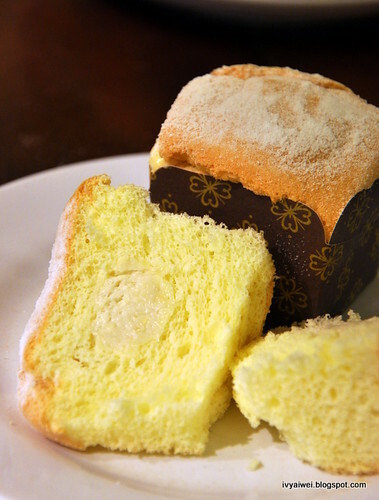 Instead of cream or custard cream you find in the normal Hokkaido cake / Hokkaido Chiffon Cake, this one is filled with durian cream. I nibbled a little on the spongy cake (not the cream). 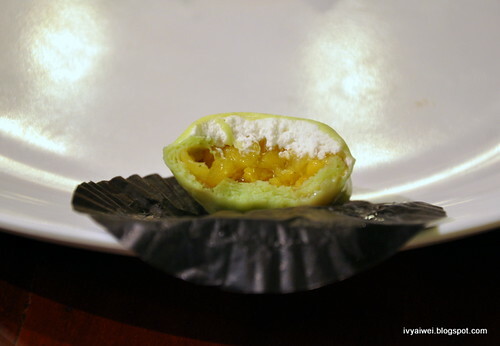 It was light and fluffy in texture; and yep, it was intense with strong flavour from durian cream. The couples love it. Sumptuous Desserts sells only freshly daily made desserts. No artificial colouring or preservative are used in their pancakes as well as other desserts. Only fresh juice is used to colour the crepe. Therefore, the desserts must be consumed within the day. Thanks to Sumptuous Desserts and Steven for the lovely invitation. 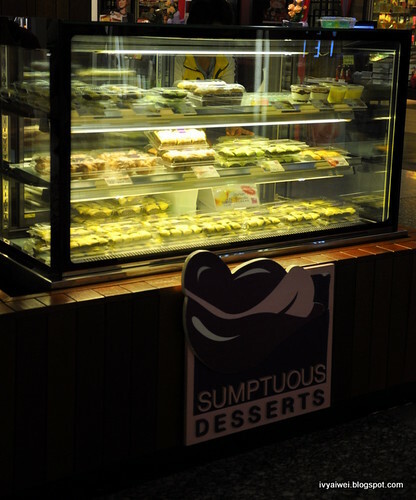 Sumptuous Desserts‘s kiosks are also available in Sungei Wang Plaza, Ikano Power Centre and Sunway Pyramid. Huh, I saw it in the newspaper(The Star)last week, will go to taste it when next time go shopping in The Gardens. Thanks for sharing, nice blog. oh finally, found someone who dont eat the king of fruit just like me! will still try others though as it mango pancake looks yummy! 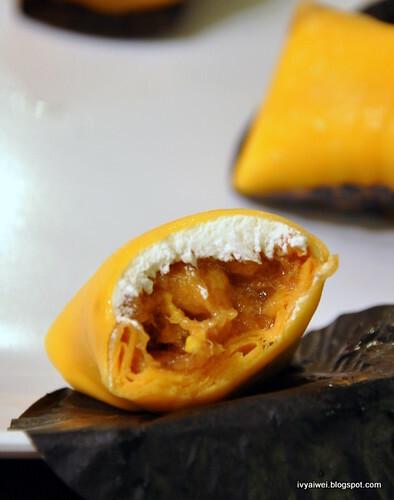 The mango and cempedak pancakes look yummy. Good alternative for those who do not really like durian. go for cempedak and mango then. 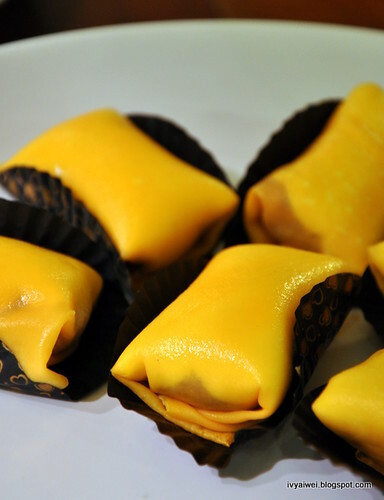 cempedak will be bit stronger in taste while mango is light, very light. as i fancy something light, i heart the mango one. your pics are great too! let's hang out more!!! yeah, that's a good thing. they are really thoughtful!